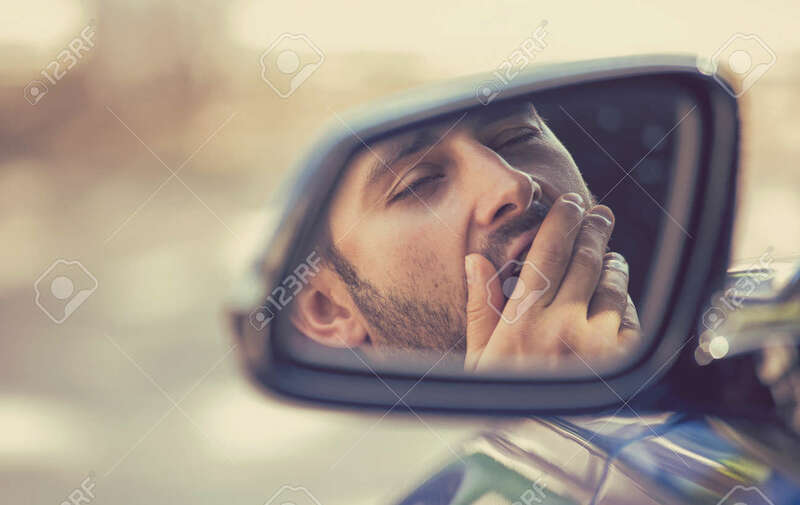 Side Mirror View Reflection Sleepy Tired Fatigued Yawning Exhausted Young Man Driving His Car In Traffic After Long Hour Drive. Transportation Sleep Deprivation Accident Concept Фотография, картинки, изображения и сток-фотография без роялти. Image 60296731.